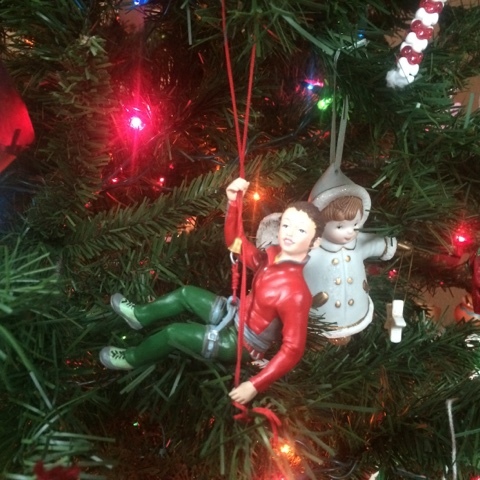 $2500 End-of-the-Year Matching Gift Challenge!! GREAT NEWS!!!! 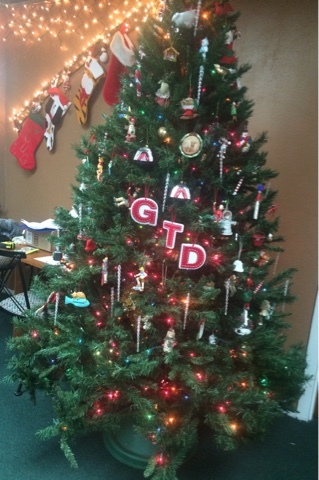 We have a few generous donors who have thrown down a Matching Gift Challenge for GTD!! 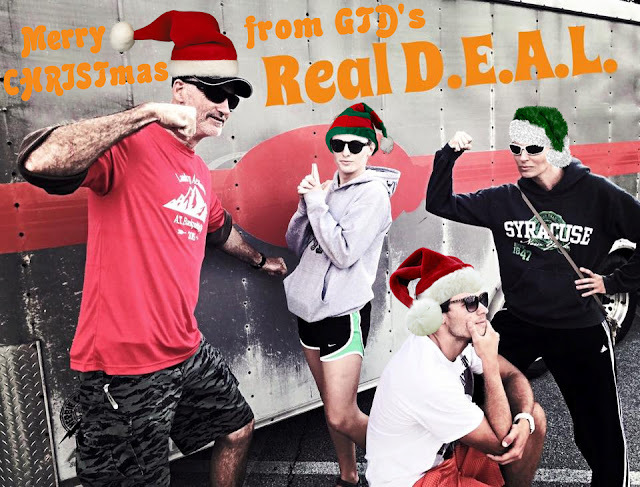 Led by Jesse Altamarino​, they have decided to match dollar-for-dollar every one-time end-of-the-year donation to GTD up to $2500!! That means that every dollar you donate becomes 2 dollars... $10 becomes $20... $50 becomes $100... $1000 becomes $2000... $2500 becomes $5000!!! THIS WOULD BE A FANTASTIC WAY TO END 2015... AND A GREAT WAY TO START 2016!!! But we need your help in order to meet this challenge. We need you to make a one-time donation to GTD today!! This is a great way to double your impact in a ministry that God is using to impact lives! To make a one-time donation click on the link below (or mail your check to: GTD | PO Box 7523, Seminole, FL 33775... don't forget to write Dec 31, 2015 on the check's date line... you will still get credit for it from 2015 as long as we receive the check by mid-January... make the check out to "GTD"). Last week (for the 2nd year in a row!!) GTD received an unexpected $5000 donation from a loving & generous local foundation!! Talk about a great Christmas gift! WOW!! We want to express our profound gratitude to our donor for such a thoughtful and generous donation. That's a LARGE donation for our ministry! Thank you so much!! God bless you!! 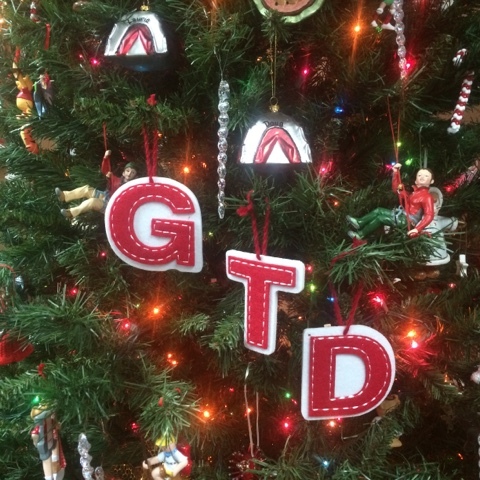 A Belated Merry CHRISTmas from GTD! Merry CHRISTmas from GTD!! 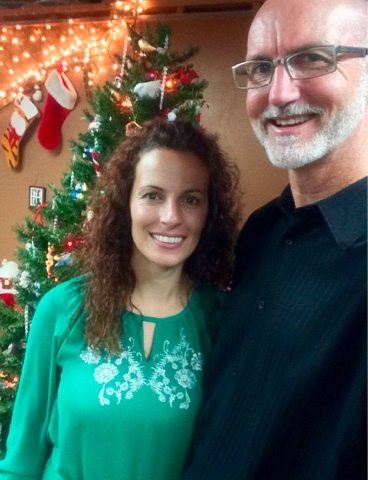 We hope you have a wonderful Christmas as we celebrate the birth of our Savior - Jesus Christ. 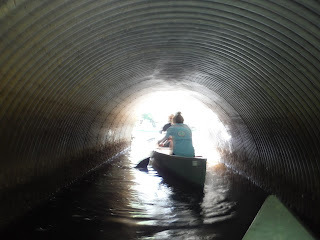 Here's one of my favorite pictures from our Swamp Thing hike last weekend. Great shot Laurie!! I've uploaded 360 pictures from our trip (more to come). Check out the pics HERE. 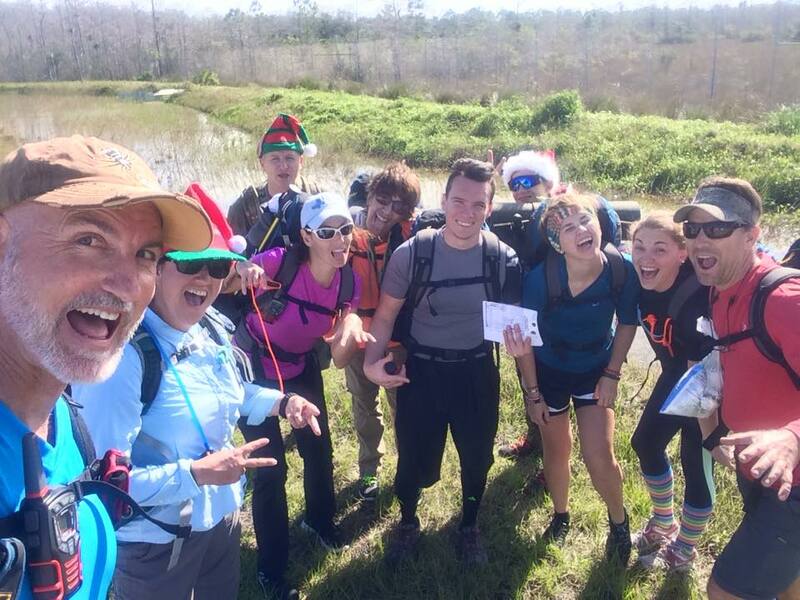 We had a fun Christmas celebration on our small island during our swamp hike. 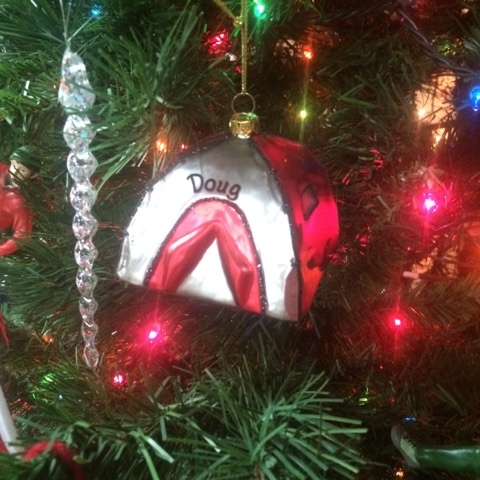 It included a fire-side Charlie Brown Christmas Tree decked out with ornaments and stockings that my awesome sister (Traci Vescovi​) set us up with. We read the CHRISTmas story from the Bible. 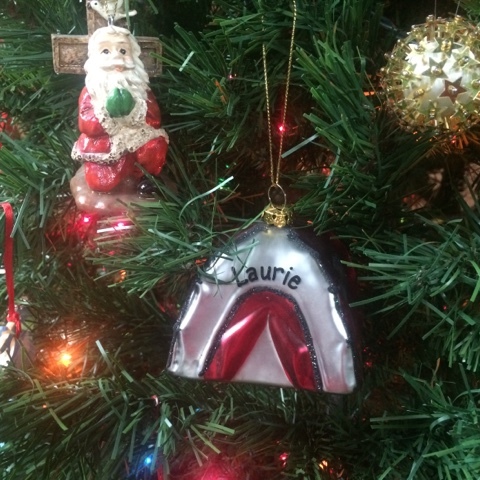 Laurie​ brought Christmas Tree lights, Christmas music, and a portable speaker. Everyone brought gifts already wrapped up and we played "Swampy Santa" (our version of the traditional gift exchange game). AND, my sister surprised all of us by making these delicious smores inside of sugar cones and sending them with us. We cooked them over the fire. 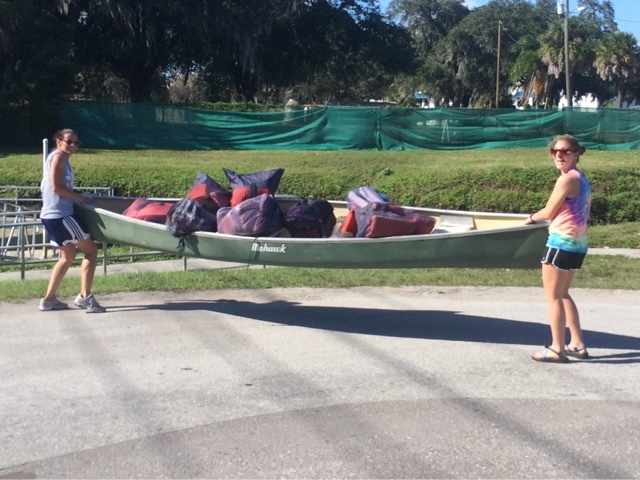 It all had to be added to our backpacks, but the extra few pounds were so well worth it. It was a special moment on our Swamp Thing adventure... and it helped make this one of the best swamp hikes we've ever done. Thank you so much Traci for all the added touches that turned something good into something GREAT! 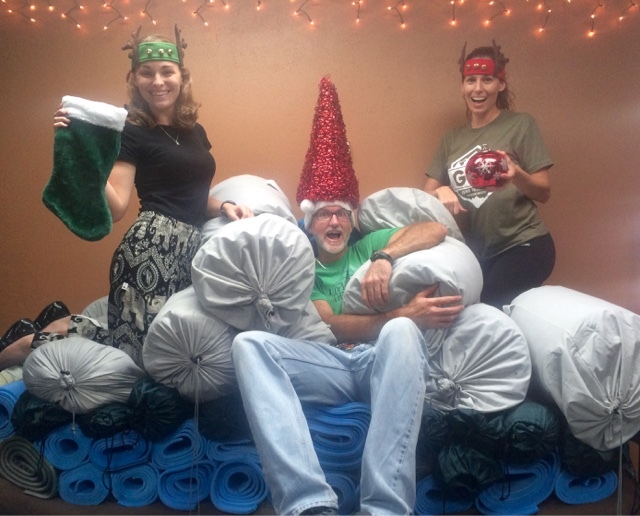 And Merry Swampy CHRISTmas to you all from GTD! 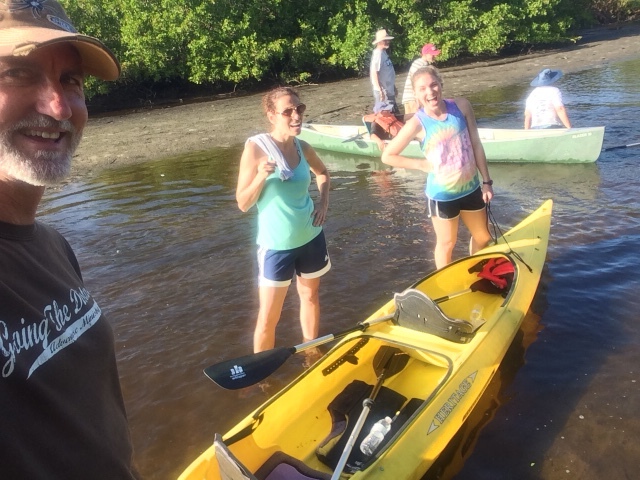 My incredible 13 year old nephew (Carson, aka Phased To Fishing​") joined us as the youngest participant to ever do our Everglades Swamp Thing hike. He loved it!! He has already edited a great video about the trip. Warning: This video includes an encounter with a decent sized aggressive rattlesnake camped out on the hiking trail poised and ready to strike. For the safety of our hikers as well as other hikers to follow, we shot and killed the rattlesnake. Shortly afterwards we continued our journey into the River of Grass. A THIN LINE BETWEEN COURAGEOUS AND CRAZY!! 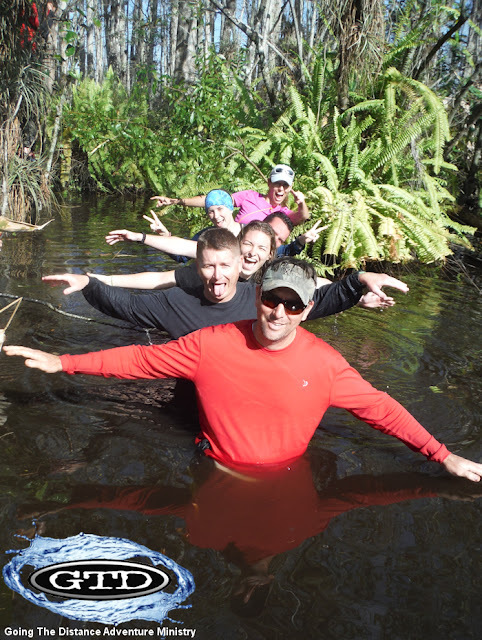 One of our many adventures within an adventure on our Everglades Swamp Thing hike is the optional slosh through what is "affectionately" referred to as a Gator Hole. Gator Holes are deeper sources of water scattered throughout the wilderness that supply year-round water and food (hopefully not us!) for wildlife. This HUGE Gator Hole located 1/4 mile from our camp was hauntingly beautiful with crystal clear fresh water (possibly a spring) and enormous prehistoric-like ferns and vegetation. It feels as if you walked back into the first days of creation. The stunning scenery and elevated danger are palpable. Although we survey the landscape in an attempt to stay far away of even a hint of alligator presence the risk is readily felt by all. It's an optional side adventure. To many people it is absolute lunacy that cannot be adequately explained, but to the adventurous soul it is the essence of life itself that oozes with unexplainable brilliance. It is a line where two opposing viewpoints will never budge and agreeing to disagree is the closest common ground that will ever be achieved. Nine of our ten participants opted "in" and had one of the most thrilling experiences of our lives. We all survived - even thrived - and walked out with so much more than we entered in with. We walked, jumped, swam, and even stared right into the face of danger. It wasn't gratuitous. It was intentional. It was rational. For each person the reasons may have been completely different, but for all of us it was necessary. Today, "the day after", we even benefit in inexpressible ways from our march through one of the rarest adventure destinations in the world. Very few will ever step into a swamp, and far less will immerse themselves in a Gator Hole. We did both. And our hearts are rejoicing in epic ways this morning. 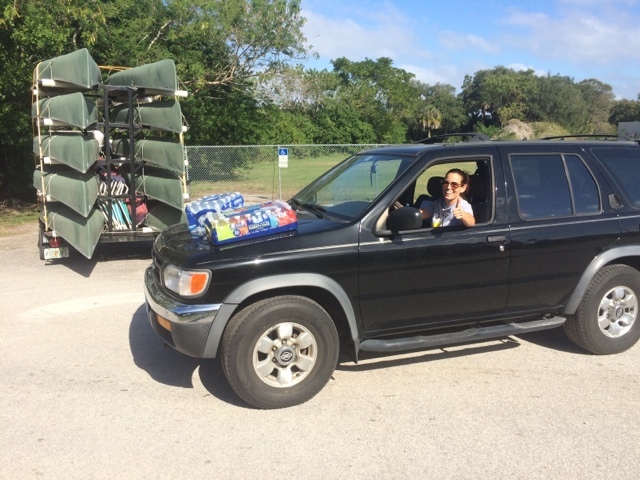 Into the swamps we go!! 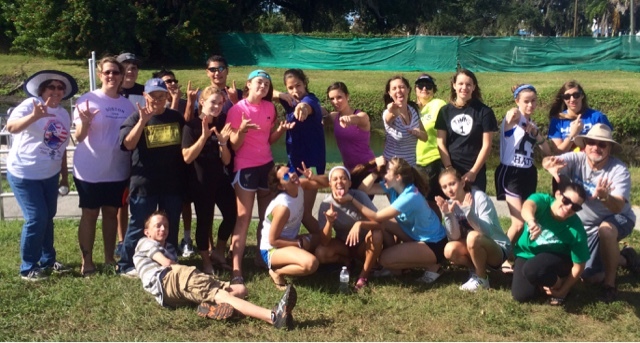 Swamp Thing 2015 began on Saturday!! Sunday night: Just returned from one of the most amazing swamp hikes we've ever done with some of the best people you would ever want to know! It was an adventure for the ages!! Incredible pictures to share throughout the week. 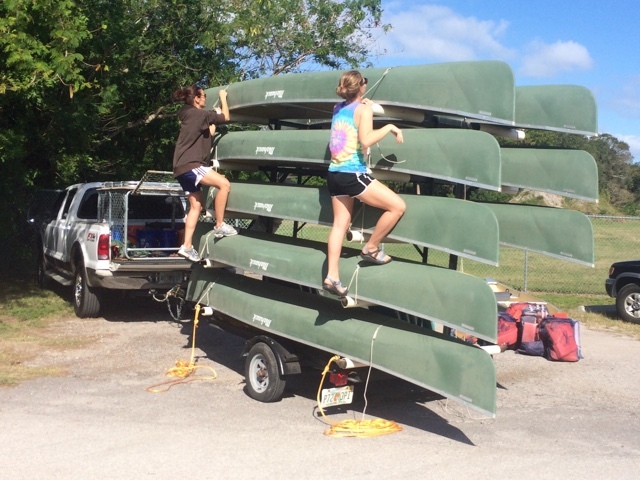 Getting ready for our swamp hike this weekend. 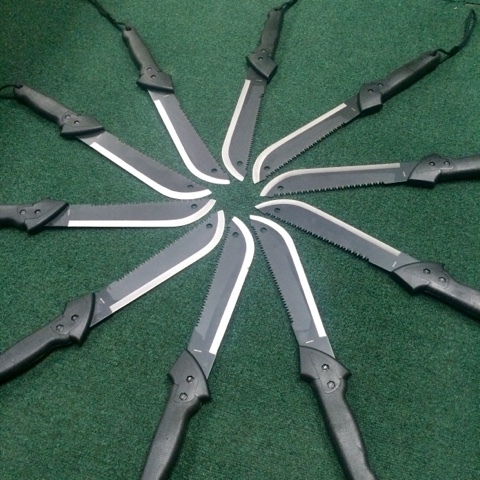 Machetes sharp and ready to go! Gear organizing, Christmas season, casual Friday, and 3 dorks all converge into one work day. 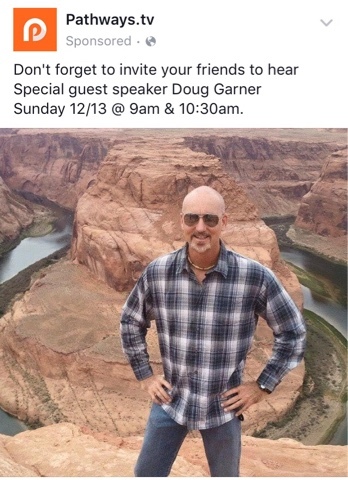 I'm honored to be guest speaking at Pathways Community Church this Sunday for their 9am & 10:30am services. The title of my message is, "A Faith That Doesn't Sink". It is based on Matt 14:22-33 when Peter initiates BIG steps of faith and starts to walk on water, but then doubts and begins to sink. God had so much more for him, but he began to drown in fears and lack of faith. Likewise, many Christians quickly jump out of the boat to follow Jesus' call on their life, but are unprepared for the storms and they begin to sink amid fears, doubts, and lacking faith. This Sunday we will rise from the rough seas. We will return to the surface. We will stop treading in the water and start walking on it again. Step by step towards our Savior. If you don't already have a home church come visit a thriving church this Sunday that has a huge vision for the Tampa Bay area. The praise and worship alone is worth coming for. Hope to see you there friends! 171 pictures from our canoeing trip with the Deaf Ministry of Calvary Church​ have been uploaded to GTD's online photo album! Click the link to seize the memories!! Laurie & Erin were taking care of business while I was running some team building games during our Day Trip with the Deaf Ministry of Calvary on Saturday. A lot of hard work goes into having fun and these 2 ladies were rockin' it ALL DAY! Ministry is a team sport! 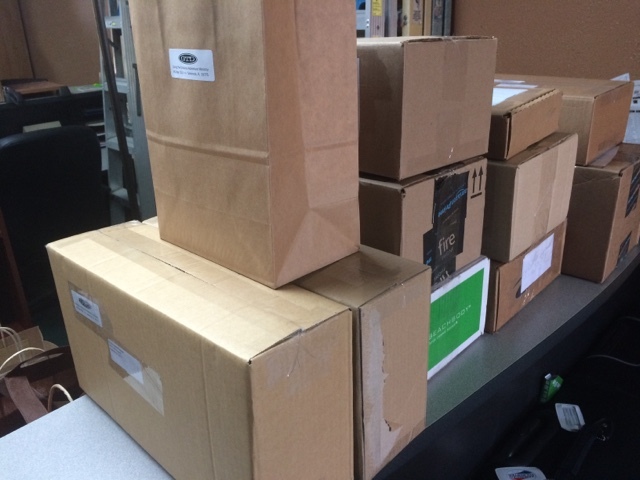 And our next round of Donor Thank You Packages have been shipped! Sometimes it's nice to be able to give back a small token of gratitude to an army of sacrificial givers that help enable an entire ministry. Thank you so much awesome supporters! We love you guys!! It has been a great 2 weeks of reconnecting with some friends & family. Strong & healthy relationships have always been one of the most important priorities in my life so the challenging part of running an outdoor adventure ministry and being on the road and living in tents several months out of the year and coming back to mounds & mounds of administration work is how easily distance and duties can cause friendships to drift. We regularly have to miss weddings, funerals, and significant moments in loved ones' lives. Year after year the distance can become greater and greater to the point that we feel like we have unintentionally missed out on the closeness that keeps relationships alive. People are important to us so I would say this challenge is the hardest part of having a lifestyle that's based around constant travel. Don't get me wrong, I LOVE what I do. But there is no perfect job and no perfect calling. 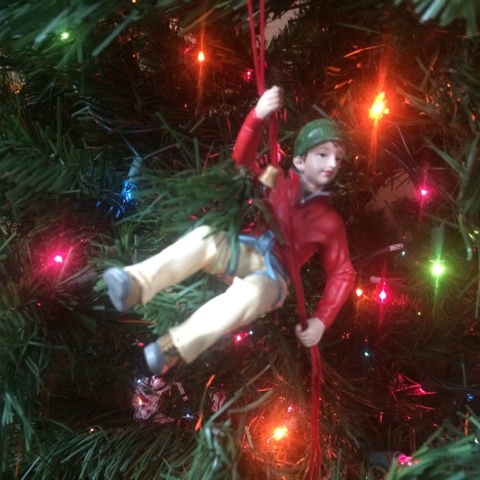 Every job & calling has challenging aspects and downsides. For me, it's the distance away from friends & family. That's why it has been such a blessing to have a time of reconnecting and restoring of close ties. I'm looking forward to having more of those moments in the weeks ahead. I'm so thankful for loving & understanding loved ones in my life. And I'm so appreciative for modern gadgets that can help minimize the distance that inherently happens within the framework of constant travels. In the coming weeks I can't wait to see so many people that God has blessed my life with through the years :).